I’m often asked where I get my ideas, especially the colors. Like so many creative people, I consider myself especially blessed in many ways. 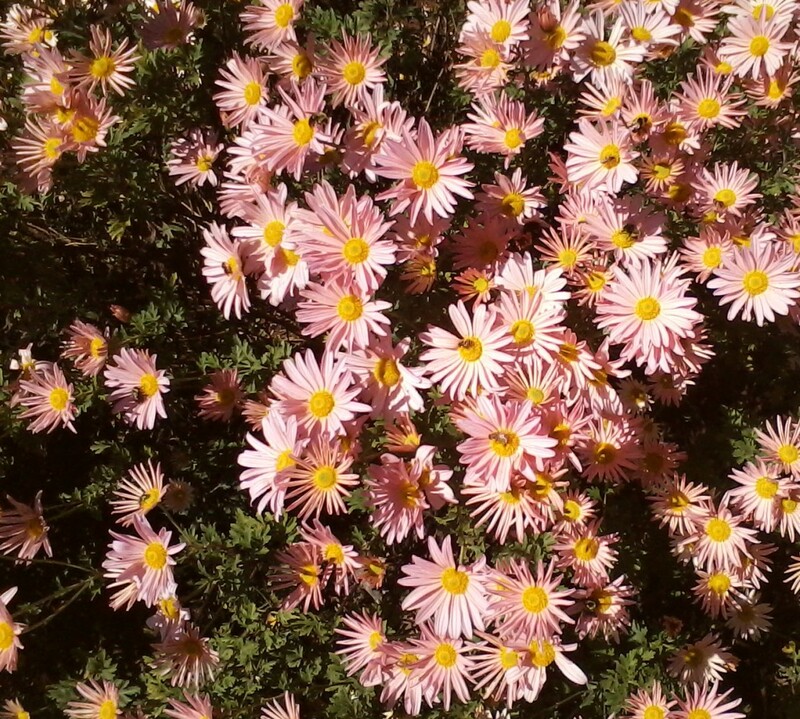 I was encouraged to be observant and taught to pay special attention to the miracles in the world around us. 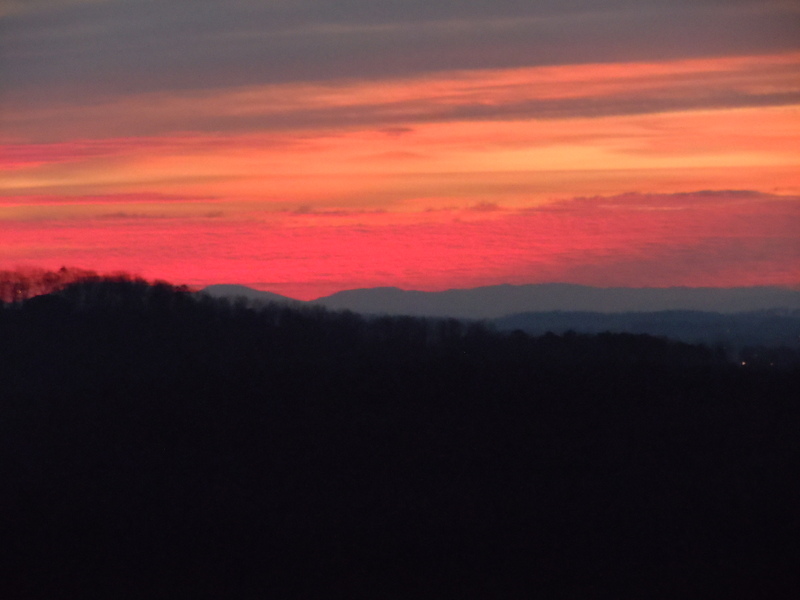 I’m constantly blown away by nature’s pallet and the give thanks each time I have the opportunity to appreciate the beauty that surrounds me. Having upper respiratory issues, I can’t spend as much time outdoors as I’d like at times, but Glenn built our beautiful home with windows big enough to bring the outdoors inside. 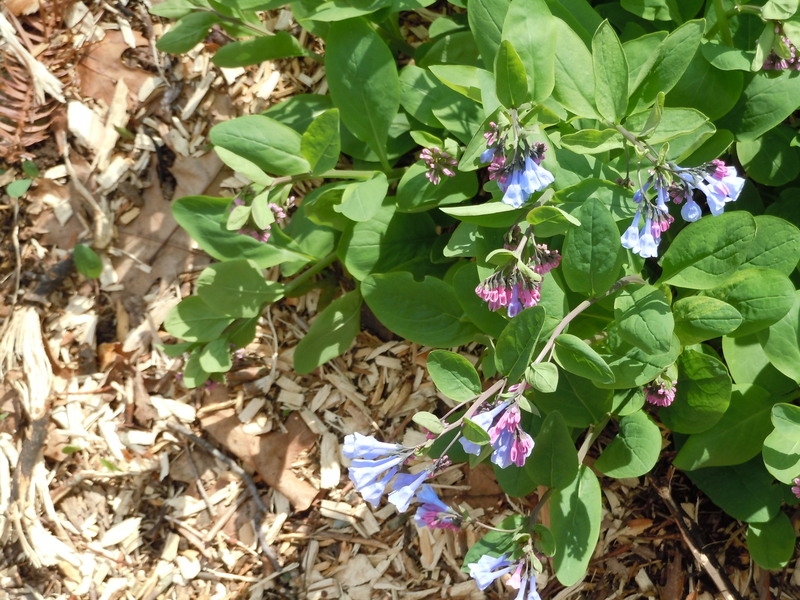 Pink Goblet or Soulangeana Bluebells start out pink then turn blue as they mature. 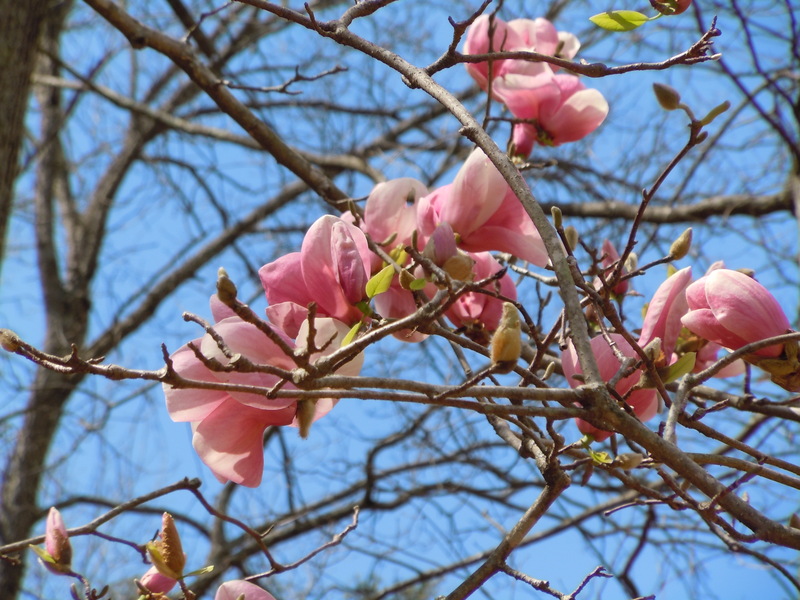 This spring the magnolias were just starting to tease us with their luscious blooms when a late hard frost zapped them. 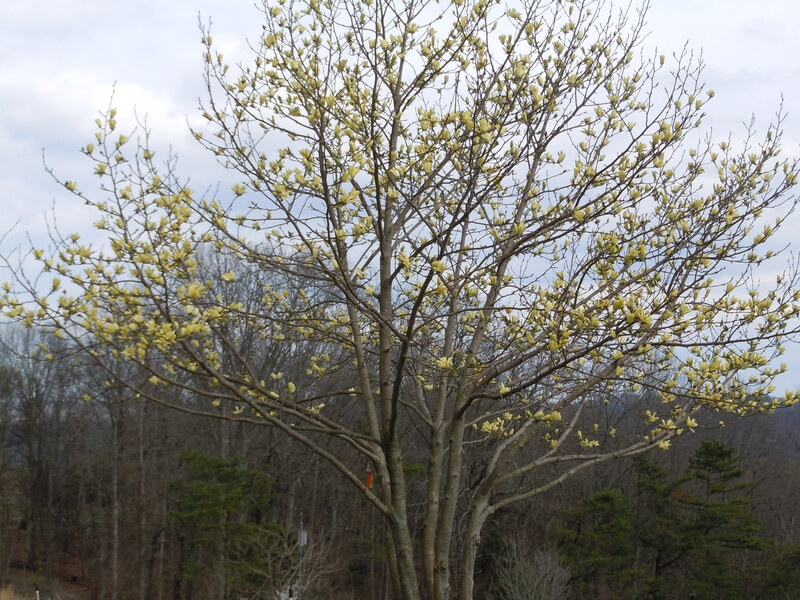 I did get some photos before they were hit but now that the days are warming up we have the second wave of color with dogwood, crabapple, pears and cherries. 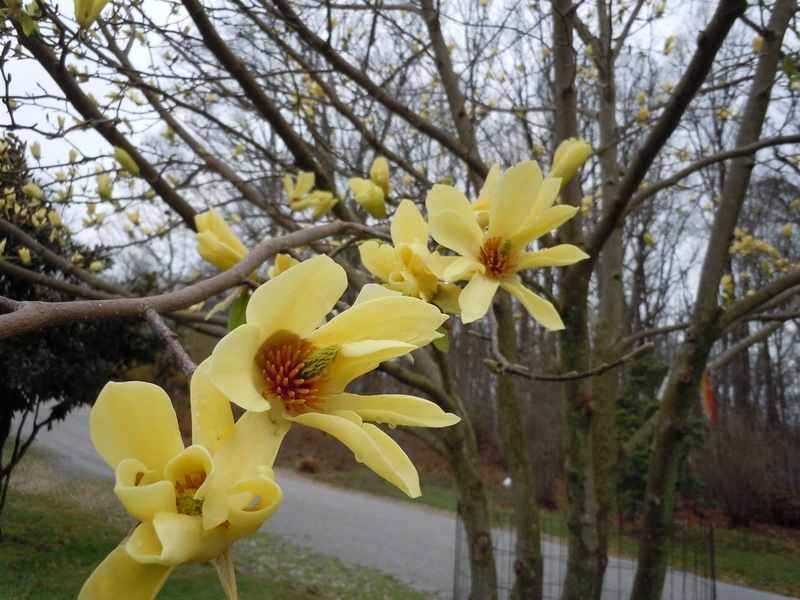 There is a distinct advantage to living on a wildlife sanctuary and arboretum (especially since this is Glenn’s creation and I don’t have to do much of the upkeep – ha). 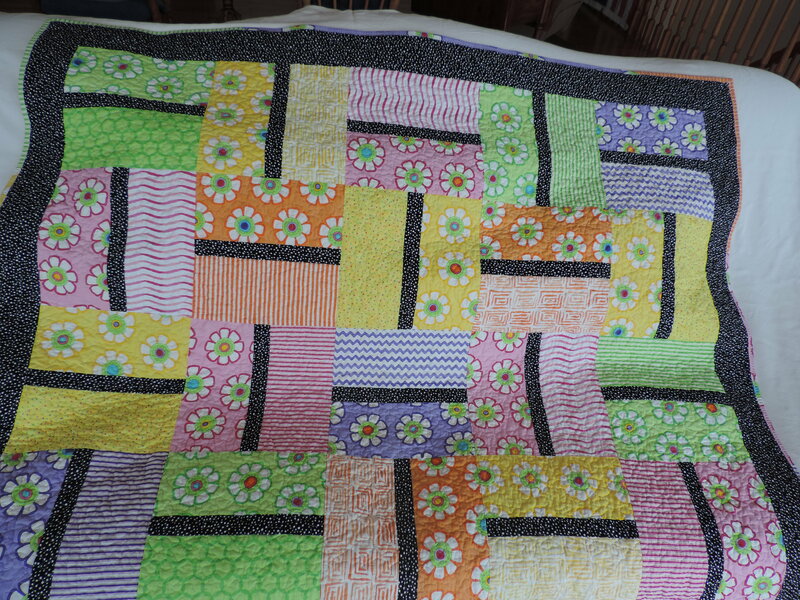 I’ve gone a little nuts on the spring fever quilts. 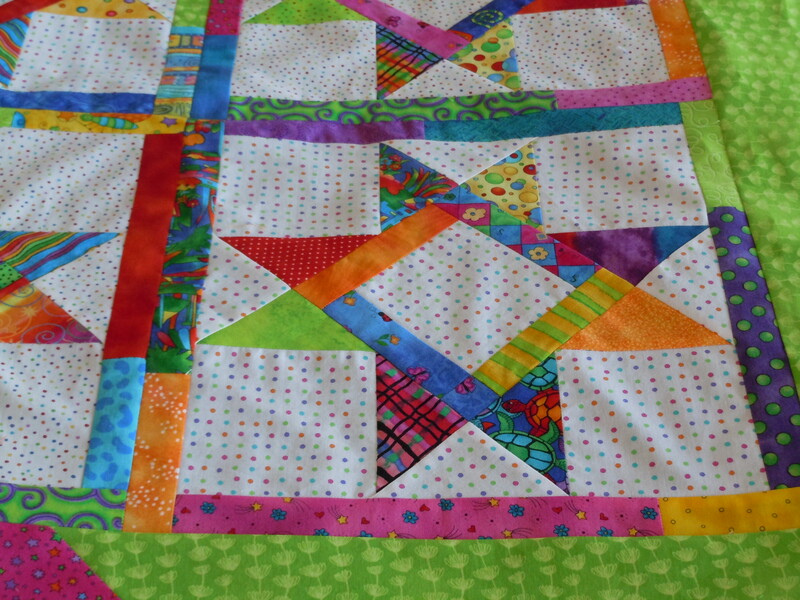 I’m into tiny piecing of scraps and yes, I have been trying to “organize, clean up and clear out”. Even cutting the scraps into manageable pieces, I still can’t bring myself to throw a lot of it out. This weekend I’m clearing out a bunch without looking through it and it will go to the local Senior Center next week. If I look first, more than half will end up on the shelf again! 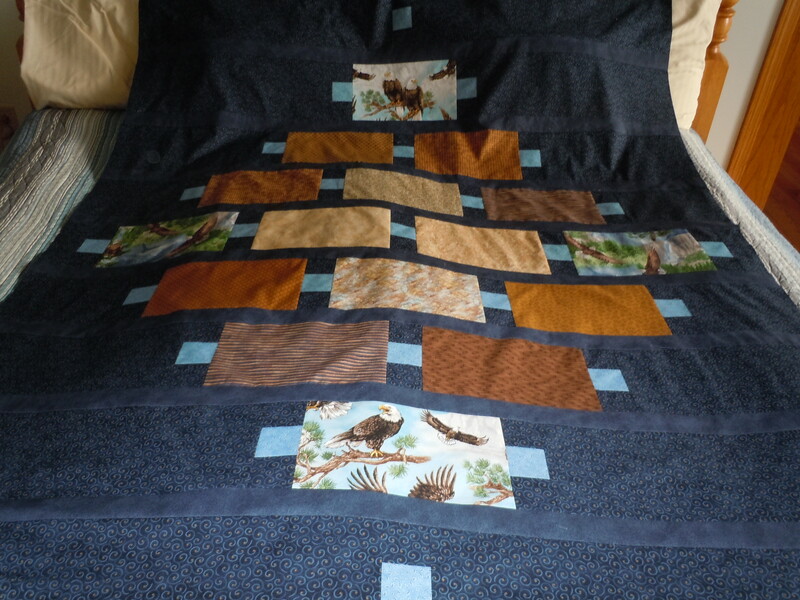 I’m so pleased with my brother Jimmie’s quilt “Morning Song”. It’s a tribute to our mother at the same time as being a special gift to show him some special love. He’s been having health issues even worse than mine and we live too far apart for me to do much in the way of help. 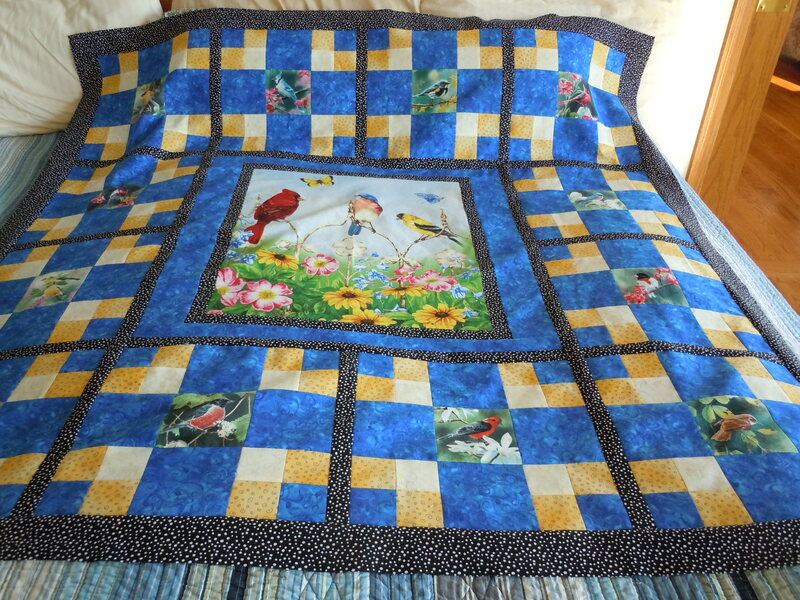 I think most quilters start making quilts for the sheer joy of being able to give warmth, love and encouragement through our heartfelt creations. 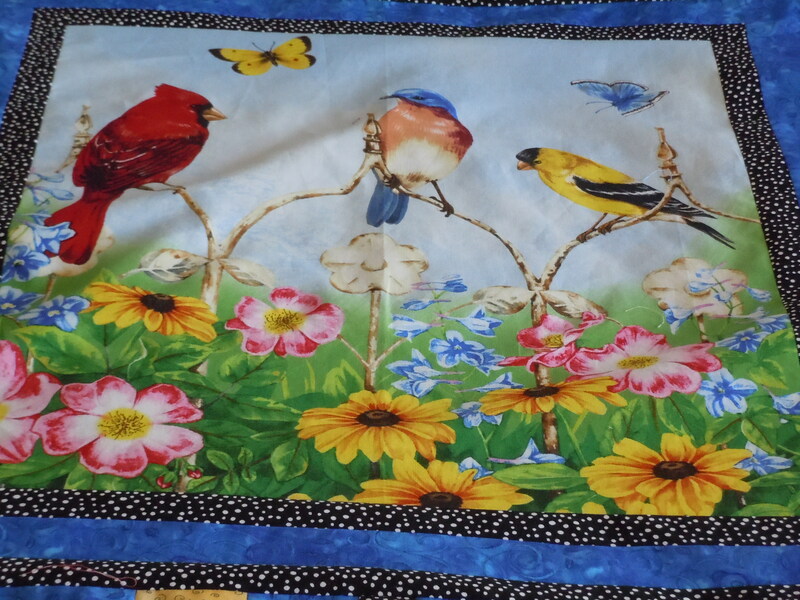 I used pieces from 2 panels for the birds and it fell into place as if Mama was whispering in my ear. I love how the black looks like window panes. I think you could safely say, he loved it! and the leftovers always lead to new adventures …. 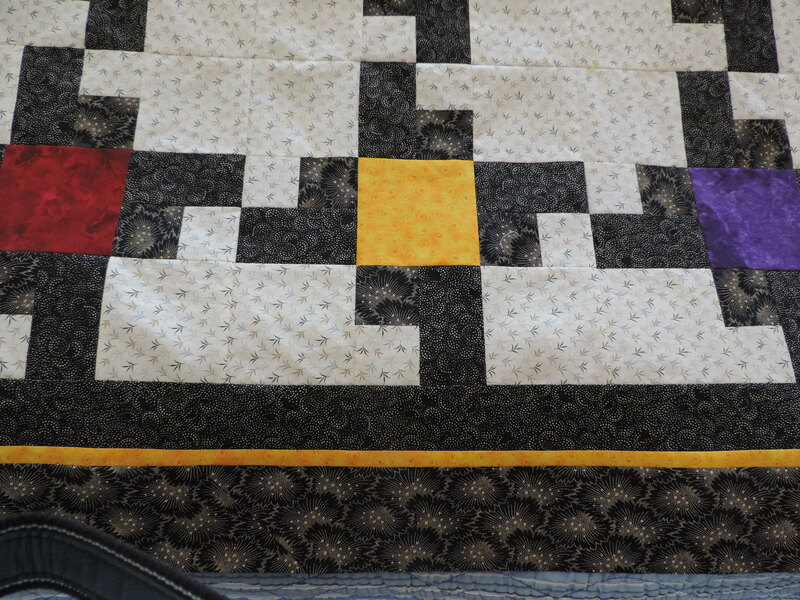 I find by piecing some of these small bits as a filler instead of cutting threads between sections, I end up with lots of little partial blocks that can then be added onto in the same manner. I keep a box handy with small strips just for this. 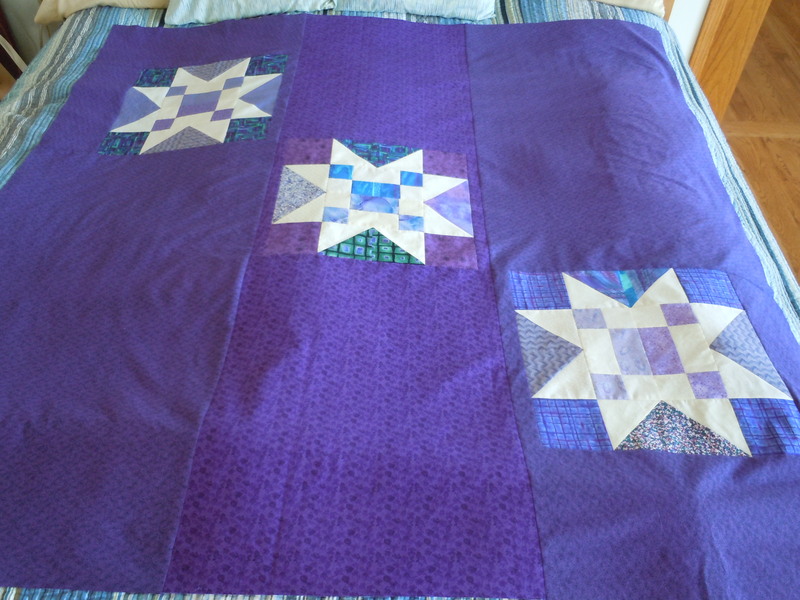 This winter I also pieced a top for one of the male groups, whoever needs it will get it, Veterans Groups, Homeless, etc. 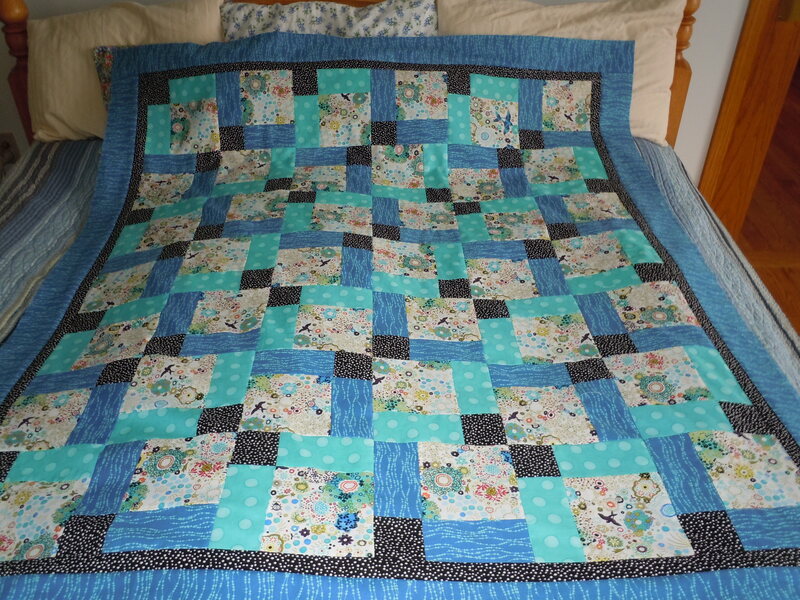 It should quilt up beautifully and I’ll put the navy on the back. I call it Flight Check. The eagles are wonderful! 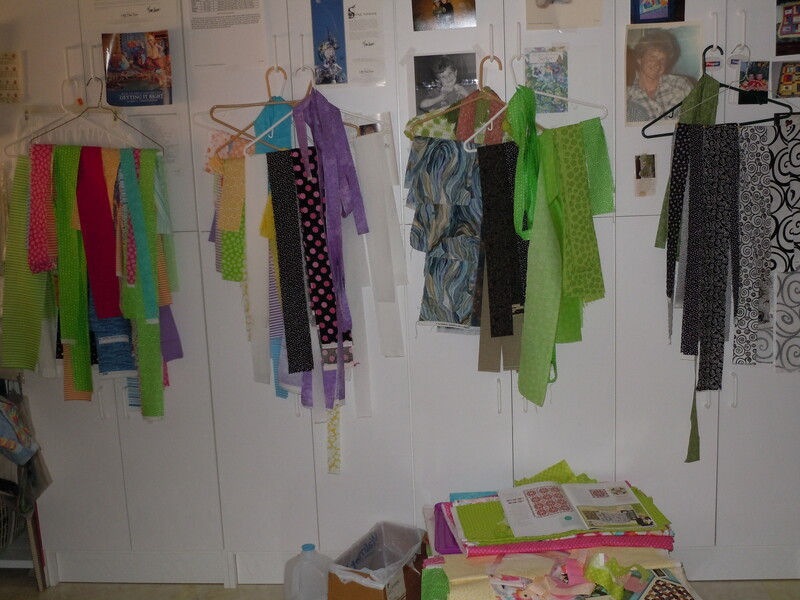 I have quite a bit of that fabric so you can bet it will go into more for the guys. Had to make a birthday gift for friend Pam so here is “Zoe” (yes, I name my Hen Cushions LOL) and naturally she had to have a zippy bag to match. Isn’t she just too cute! Love that sassy tail and that wild ‘do’. Take care and God bless you and yours. 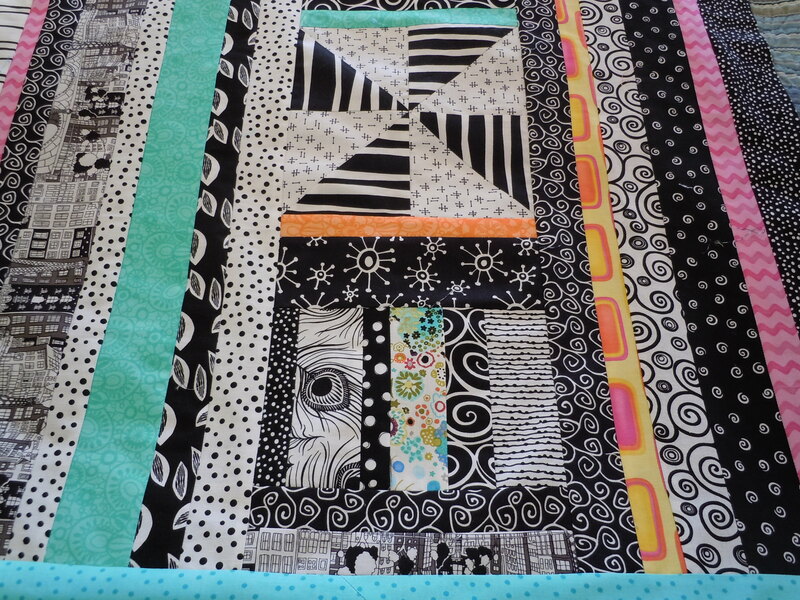 And for those quilters and quilt wannabees, Happy Creating! 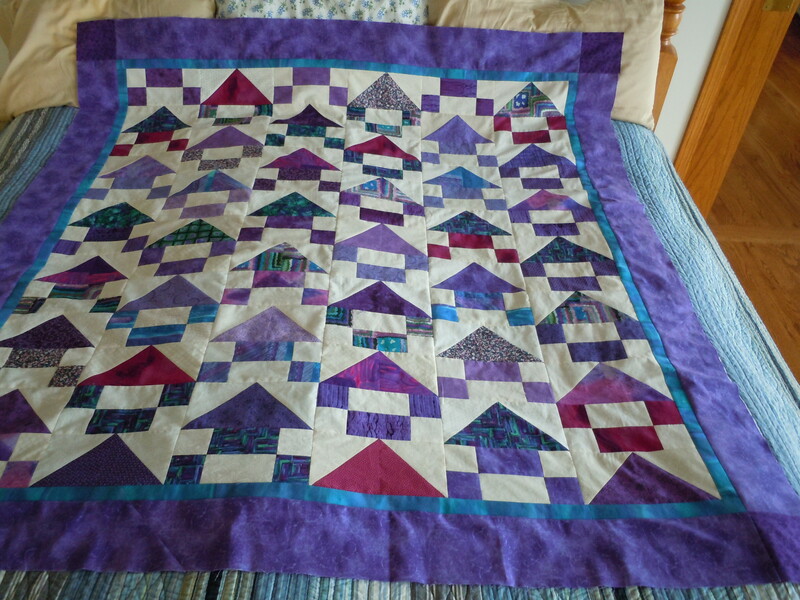 As I played around with my latest quilt piecing design, a vision of the old mill store in 1952 came to mind. I was 5 years old and we had just moved out of my grandmother’s house to a tiny 2-room ‘house’ in the country. My dad was going to be a farmer on 10 of the sorriest acres in the San Antonio, Texas area. No electricity, no well (the water wasn’t fit for anything) and a rickety outhouse. But my younger brother Bill and I thought it was heaven! (Brother Jimmie was still too little and Ricky wasn’t quite ready to make his entrance into the world, Mama must have been about 6 months pregnant with him at the time.) Our neighbors had cows, pigs, dogs, chickens and plenty of kids within a mile of our house. Not even the mean old white tom turkey on the farm next door could dampen our enthusiasm. Riding in the back of Dad’s old pickup truck to the White Wing Mills feed store was a highlight of our life. We bought flour for baking and feed for the chickens in 50 lb cloth sacks. The old gentleman who managed the store was very kind to us. He would ask Mama how many yards of material she needed to make my dresses (we didn’t call if fabric in those days) and then he would figure out how many sacks she would need. 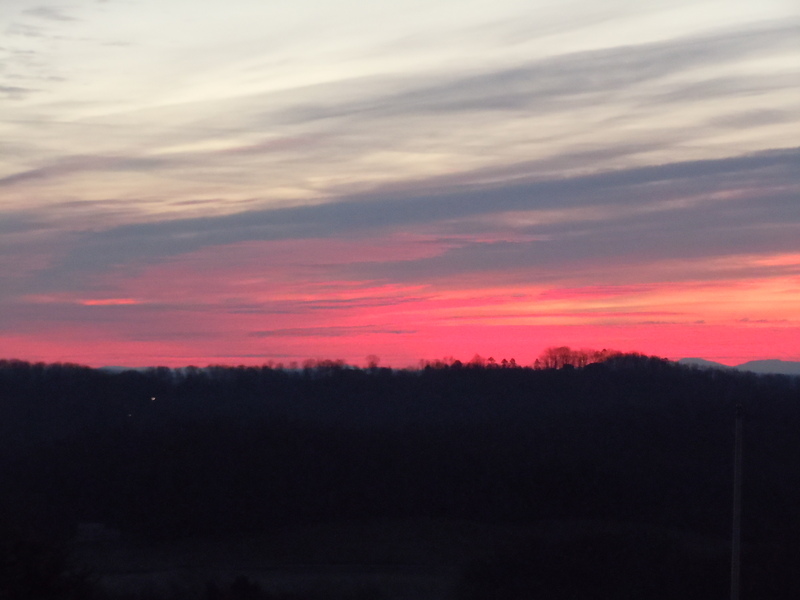 I was allowed to pick out the colors I liked and he would put them aside to be picked up as we could afford them. 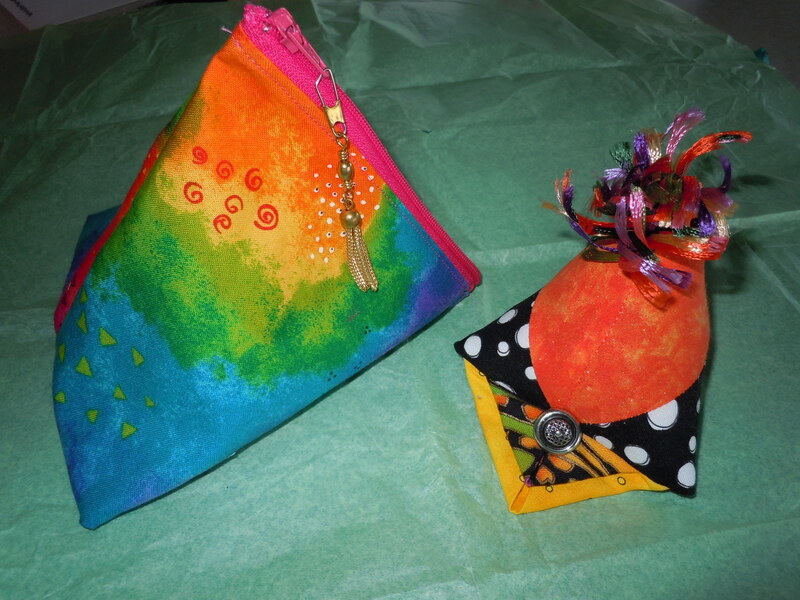 Mama always worked magic with those feed sacks. I still remember the first dress she made on her grandmother’s treadle machine in that little house. 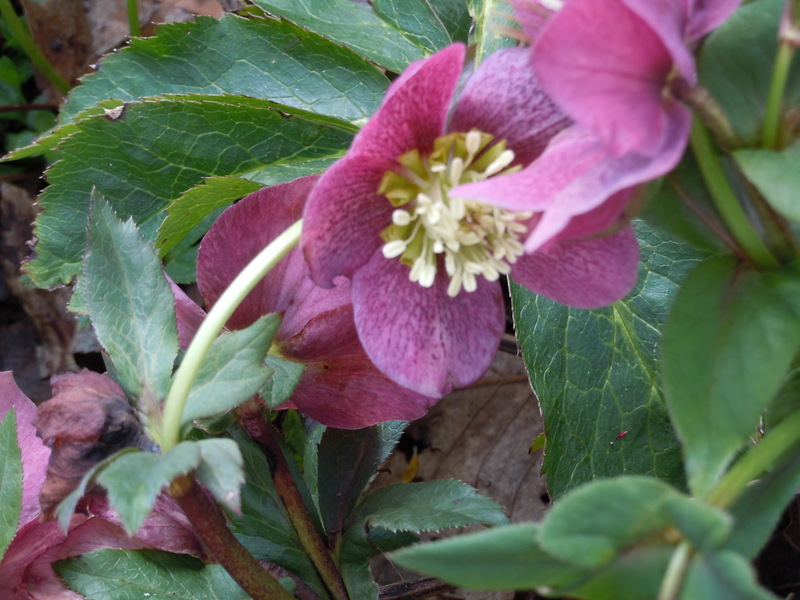 It was a light burgundy and pink calico which she trimmed with white bits of lace and rickrack. I didn’t know how poor we were until I actually started school. But Mama was so clever with her meager supplies, my clothes never looked ‘homemade’. 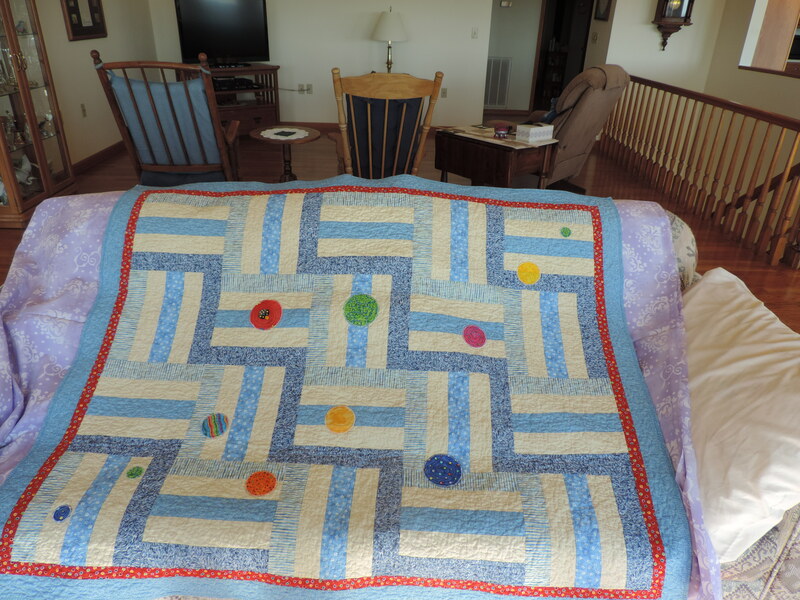 Even as poor as we were then, we had a quilting frame hanging from the ceiling of the main room. 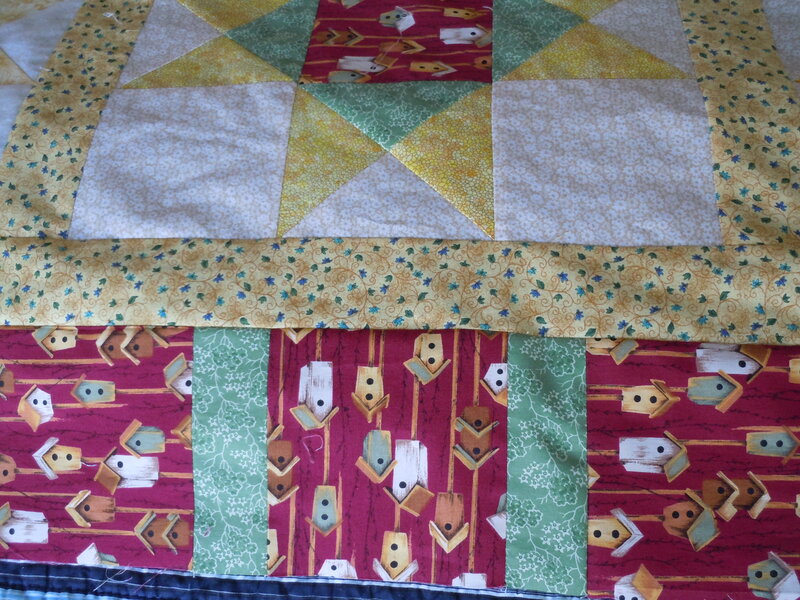 The scraps left over from making our clothes went into whatever quilt Mama, a couple of aunts, and sometimes neighbors were making. I remember hiding underneath it to hear what they talked about. A lot of it didn’t make sense but it was a great hiding place. 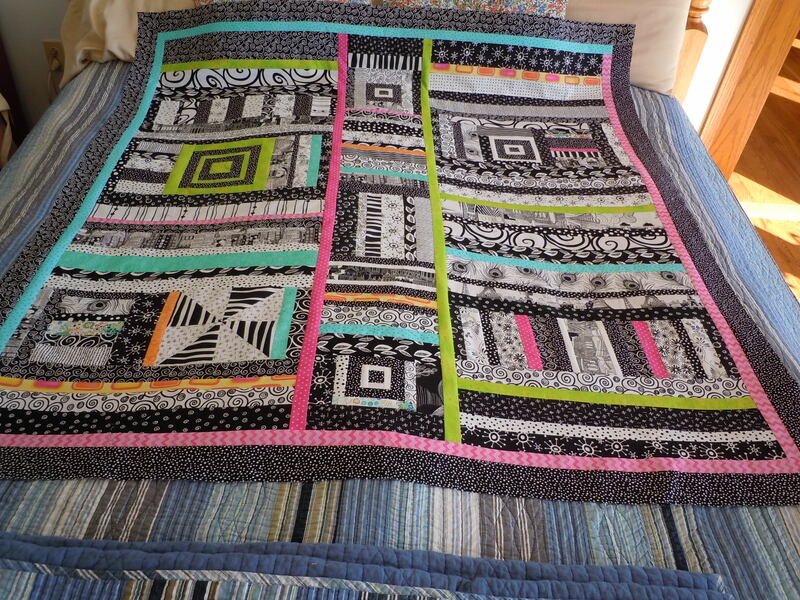 Sure wish I knew what happened to those quilts…. Anyway, piecing for me is a joy for so many reasons. 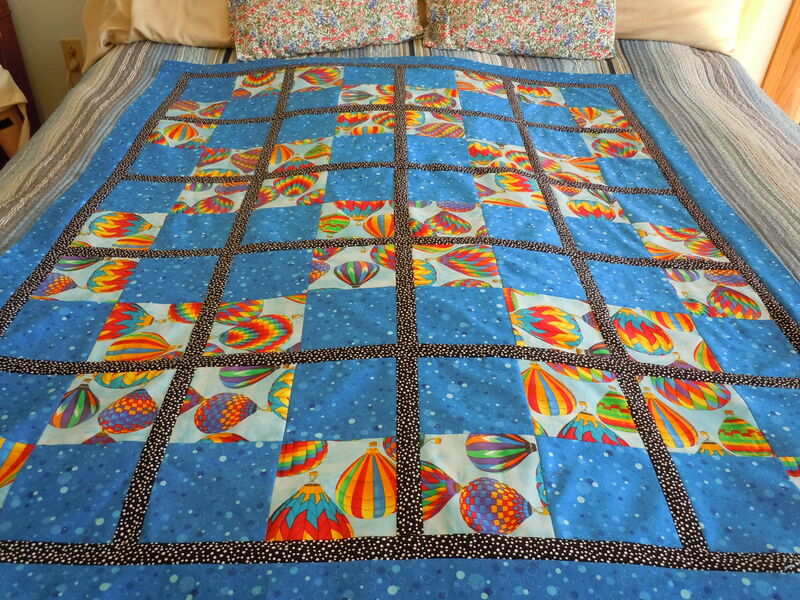 Not only does it allow my creative side to come out and play, but the colors and patterns of the fabrics stir sweet memories of how I got into making quilts in the first place. It gives me time to think of my family and friends and put lots of love into whatever is in my hands at the moment. And now I’ll introduce my latest fantasy, obviously inspired by something by Freddy Moran … LaLaPalooza, or LaLa for short. I had all of these black and white strips just hanging on my cabinets and sometimes they just get so noisy! 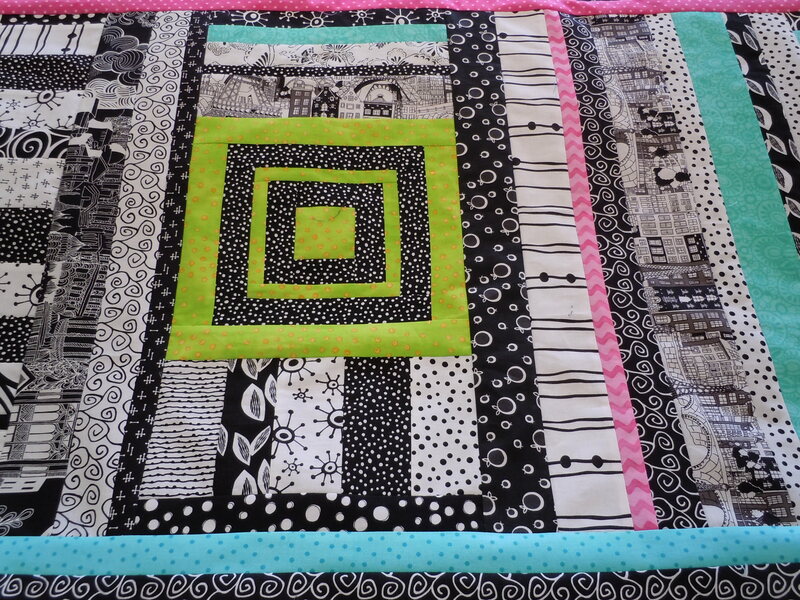 And my fabric is over whelming me again so I decided to make a real SCRAP quilt, HA! 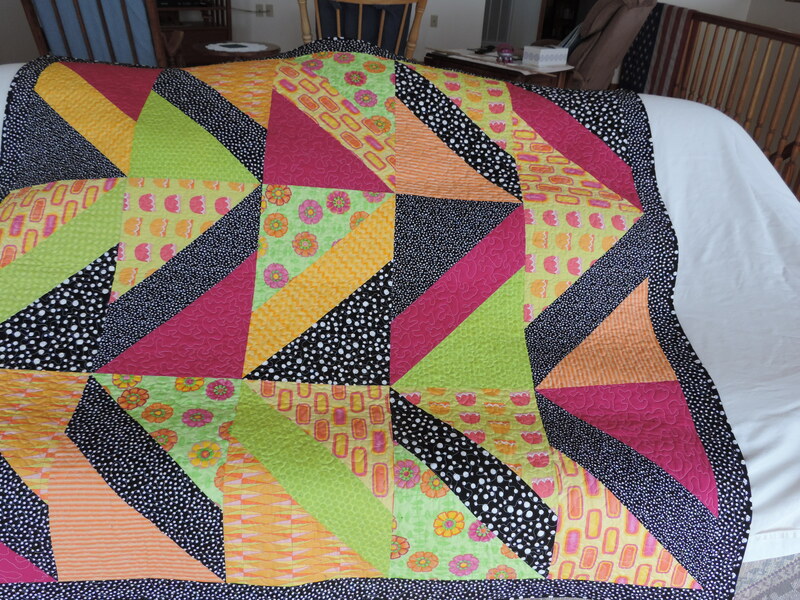 Some of the blocks were testing new ideas and never worked in the end design, some were learning new techniques and then there are the pieces I just could NOT throw away! 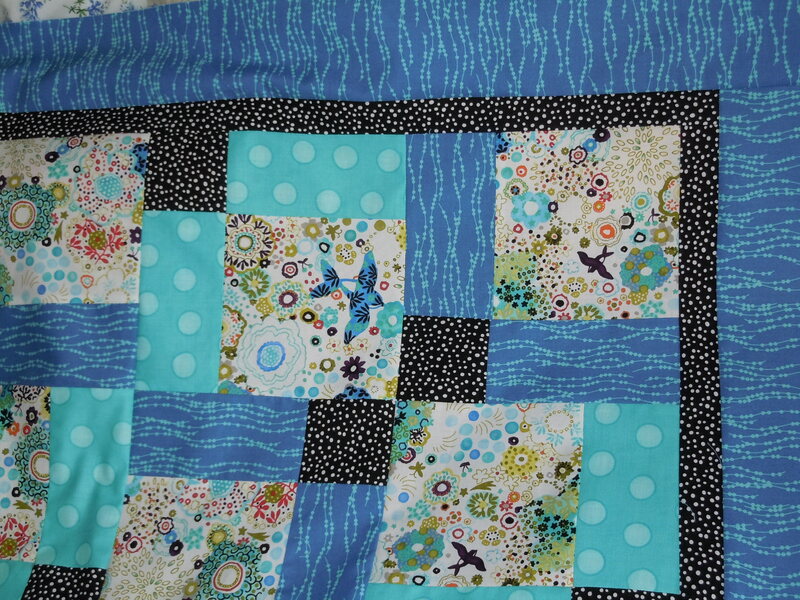 I think I really, really want to keep her …..
Up Down & Sideways will go in the donation box once it is quilted. 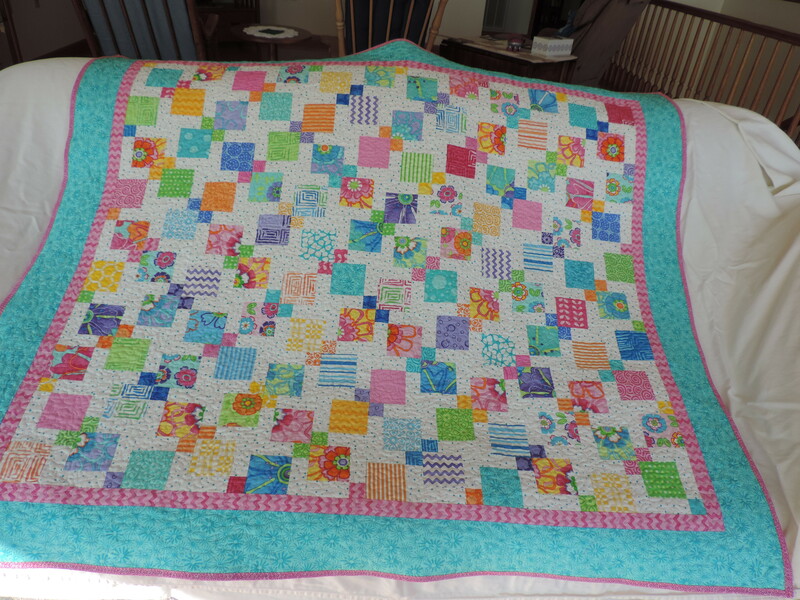 Doesn’t matter who gets it, I just loved taking those 6″ squares I bought online and making a pretty quilt for some lucky person. Yes, I have to put black in just about everything 🙂 They make this one look like windows. And now for my last act for the day …. Winter Solace has her borders. I think it really made a difference. 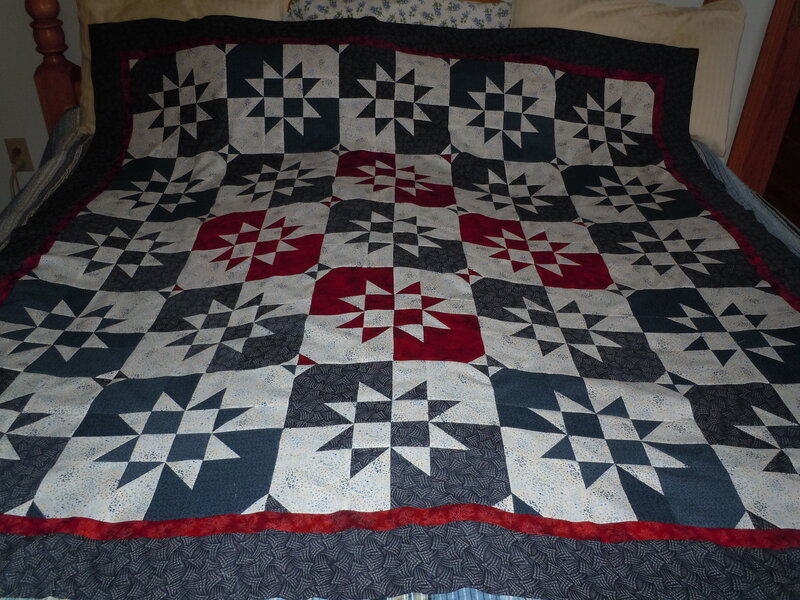 The star seemed to run off the quilt, so I had to fence it in 🙂 These black and whites were left over from a couple of things I made for the Dallas MS fund raiser my friend Wendy worked on a couple of years ago. This is on a king bed and covers the entire top! 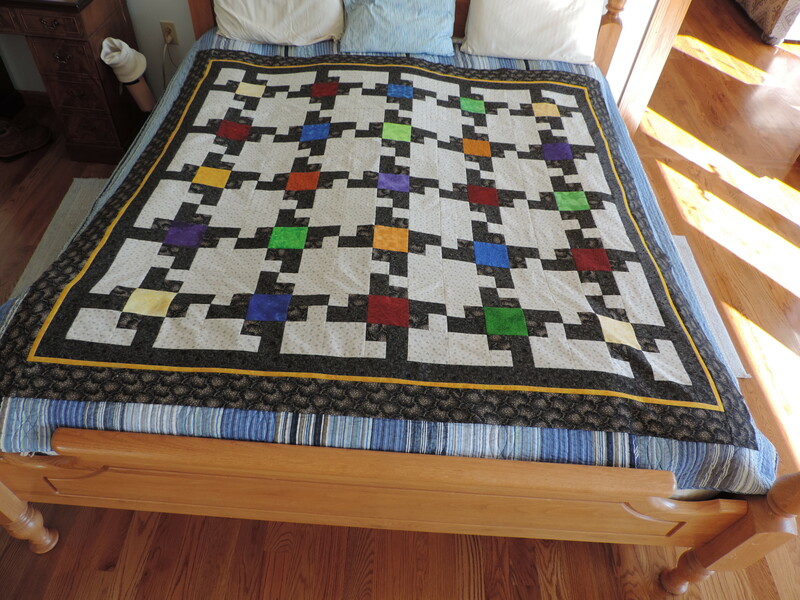 It will be a challenge to quilt. So that’s it for now. I’m already working on a new masculine top. Chris from Sew n’Vac called today and I can pick up my MC6600 next Wednesday when we go into Knoxville for more birdseed. 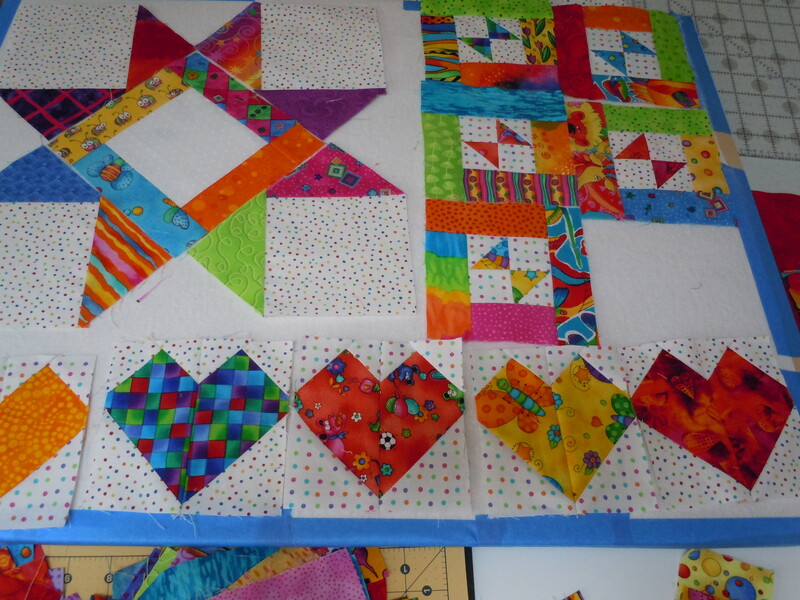 Then I will have to stop playing and start quilting some of these tops! Until next time, create something! Yes, off my rocker, off my kibble or off to a good start on the new year. All apply in one form or another. January has been busy. 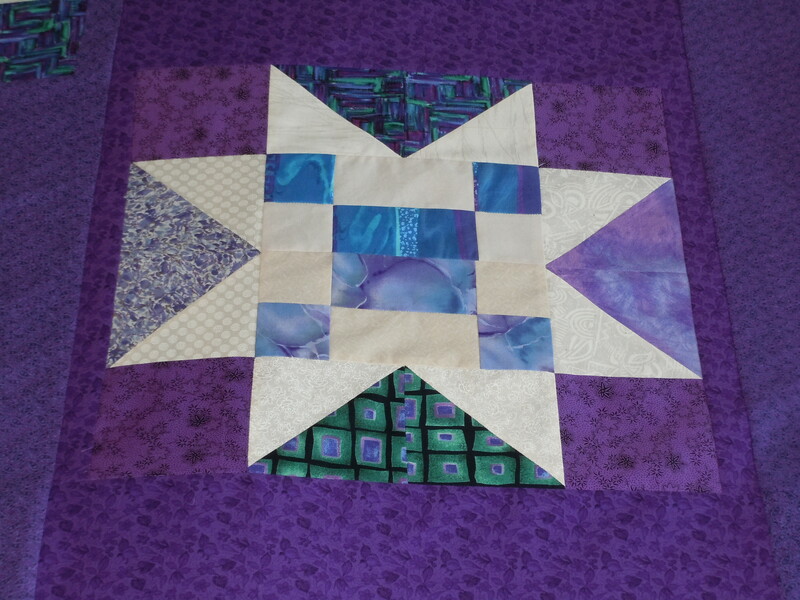 Just celebrated my 68th birthday, did laundry, cleaned house, baked my own cake and oh, yes, worked on more piecing. I’m so pleased with the tops I’ve finished and have 3 more on the table now. 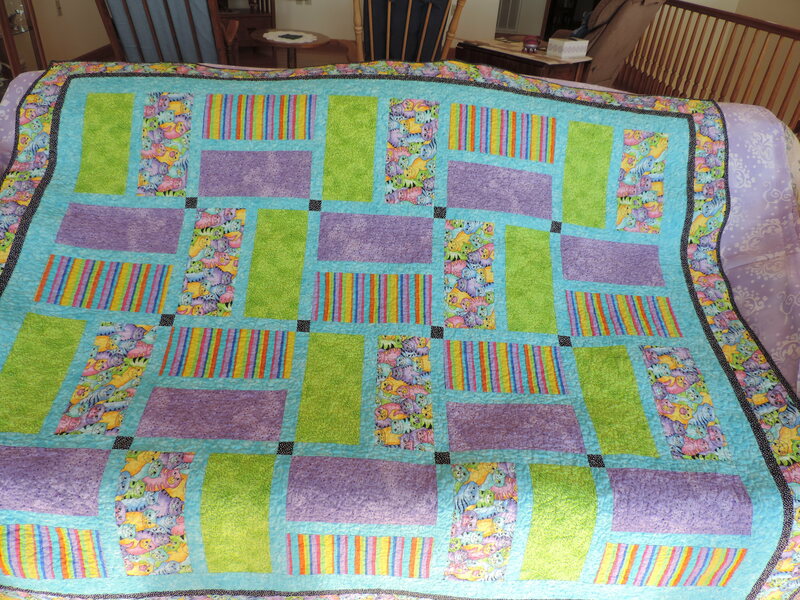 If I don’t get my machine serviced and start the actual quilting, I won’t be able to find my sewing table. 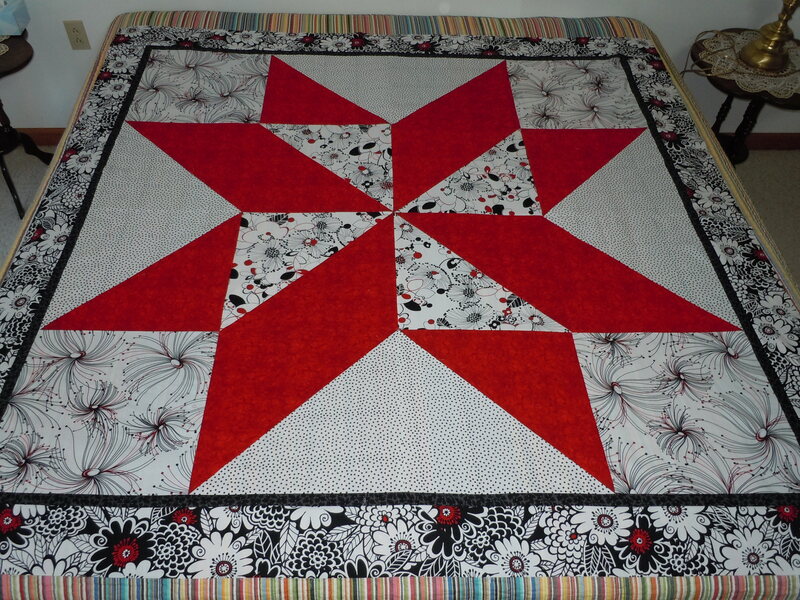 Valley of Stars … started this one last summer when I watched the tutorial by Jenny from Missouri Star Quilt Company. Then I got her magazine BLOCK with the printed instructions and naturally I just had to make one! This one is most likely destined for one of the Veterans’ programs. 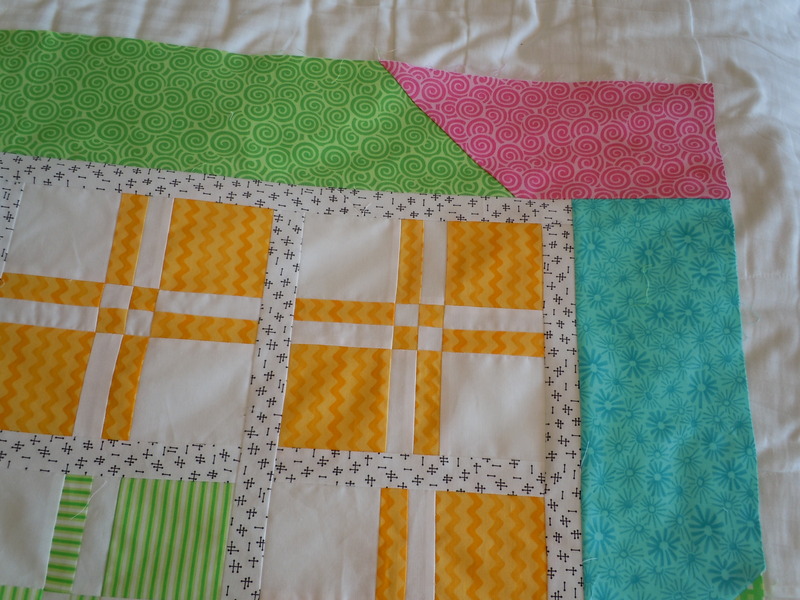 I loved making the blocks but I have to tell you, it was a bear to put together! 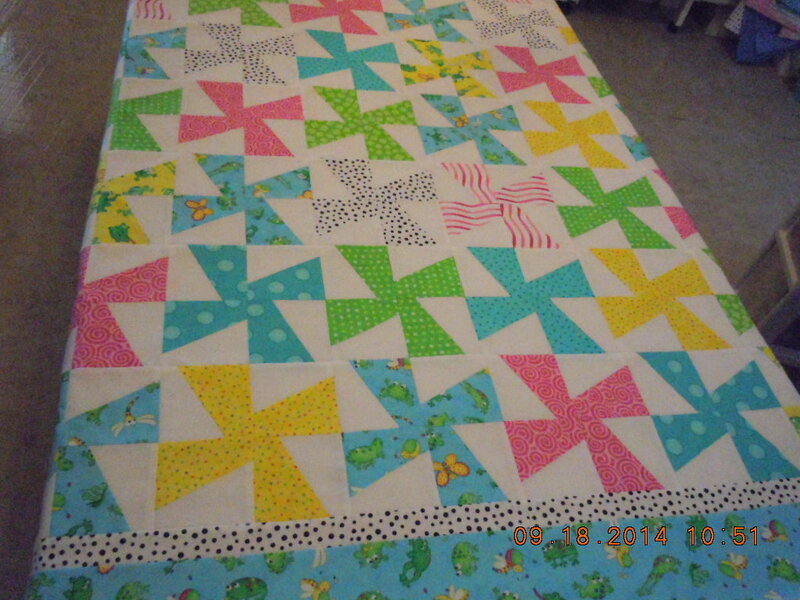 Stars on the Roof … always wanted to make a yellow quilt and while this is NOT what I had in mind, I am making myself use up some of the scraps that are threatening to buy me 🙂 The only actual yardage I had was the green in the border and in some of the blocks. 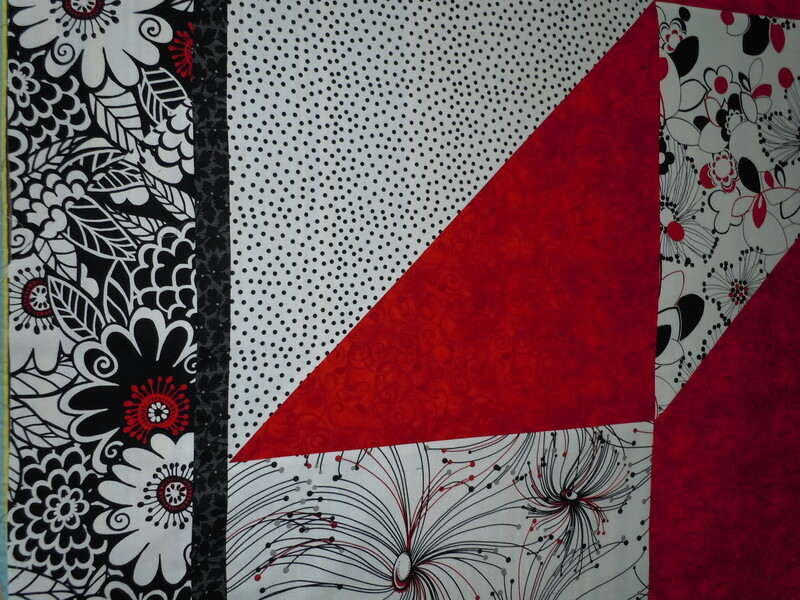 The red birdhouse fabric was just a little scrap that I’ve always wanted to use but there just wasn’t enough of it. So, this was quite the challenge but I loved it and I’m pleased with the end result. 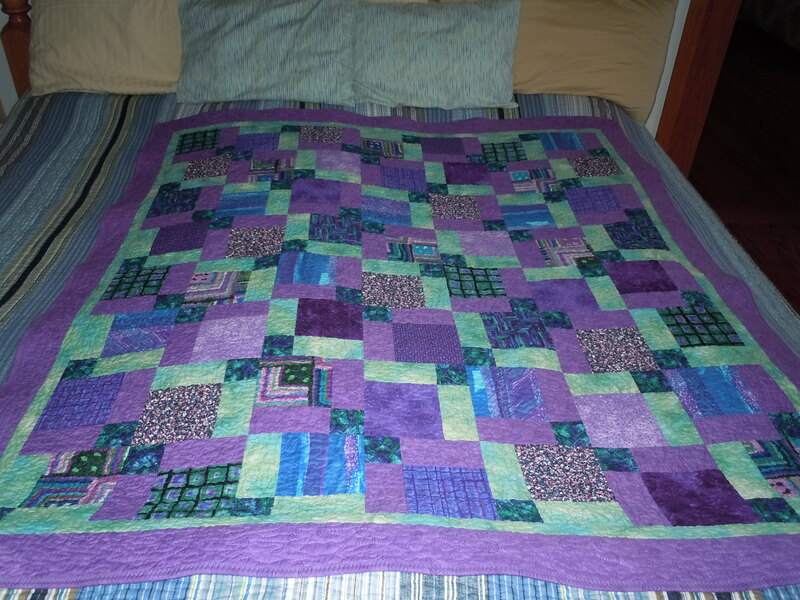 Can’t wait to quilt it. Don’t know where it will go. 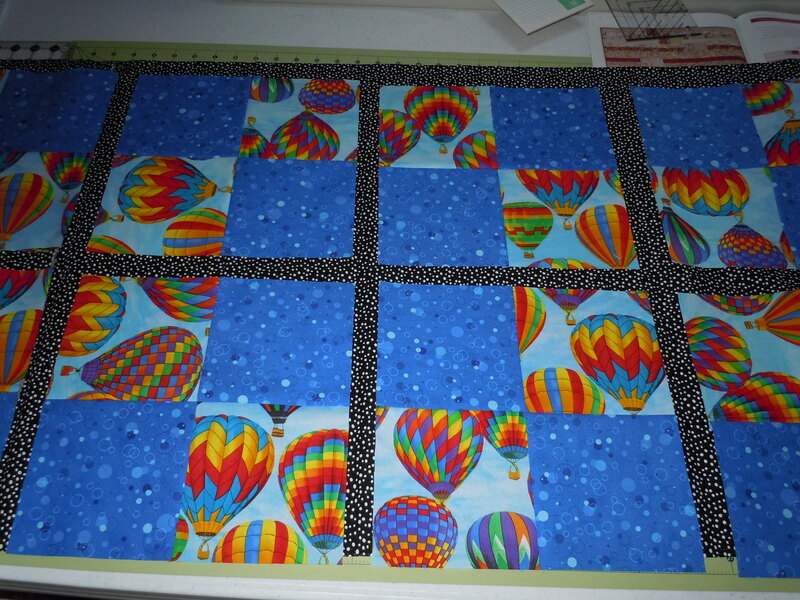 Up and Away …these are more of the 6″ squares that I bought online. They weren’t square and most were close to 6″ but the price was so low that they were more than worth it. 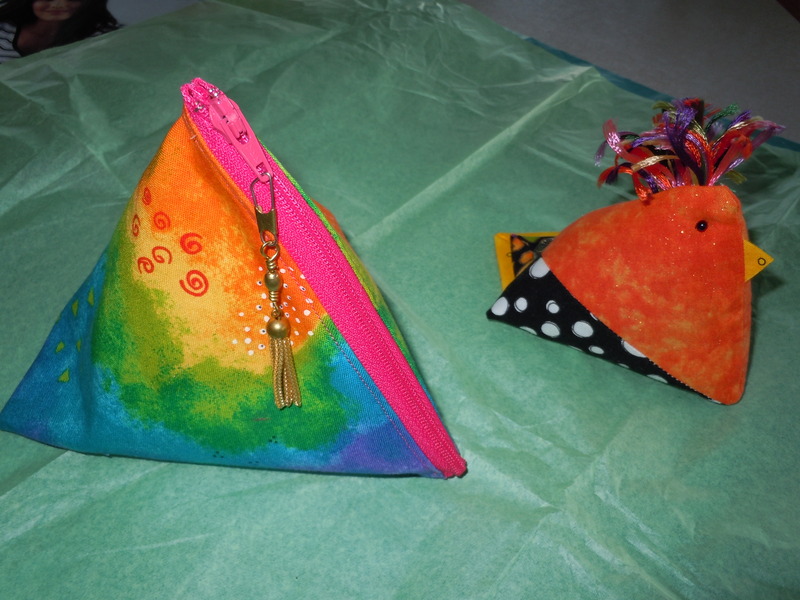 Have a whole box of them in different colors and patterns which you will see in future. This is one of the 3 I’m working on right now. 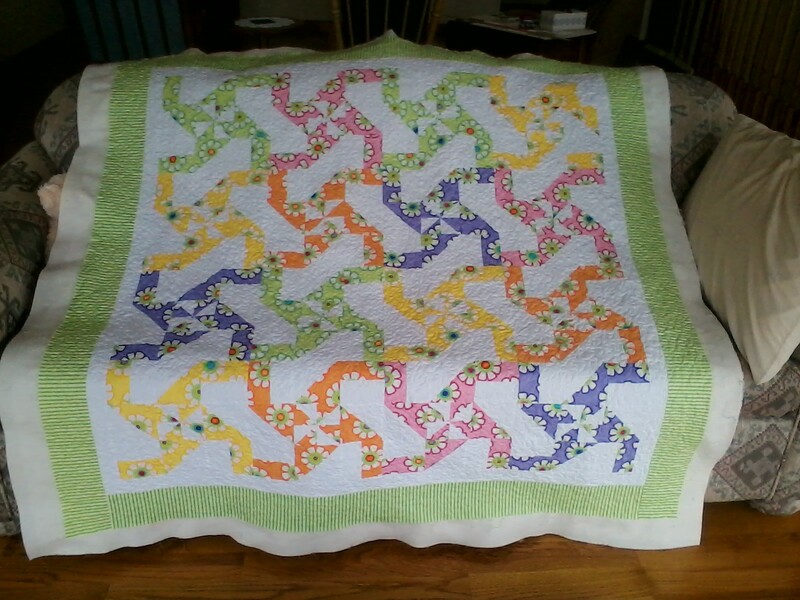 So now you’re up to speed on my busy sewing life. Can you tell I don’t get out much? Just give me fabric and my sewing machine and I can entertain myself happily for hours and hours. Till the next break, be well and laugh a lot. 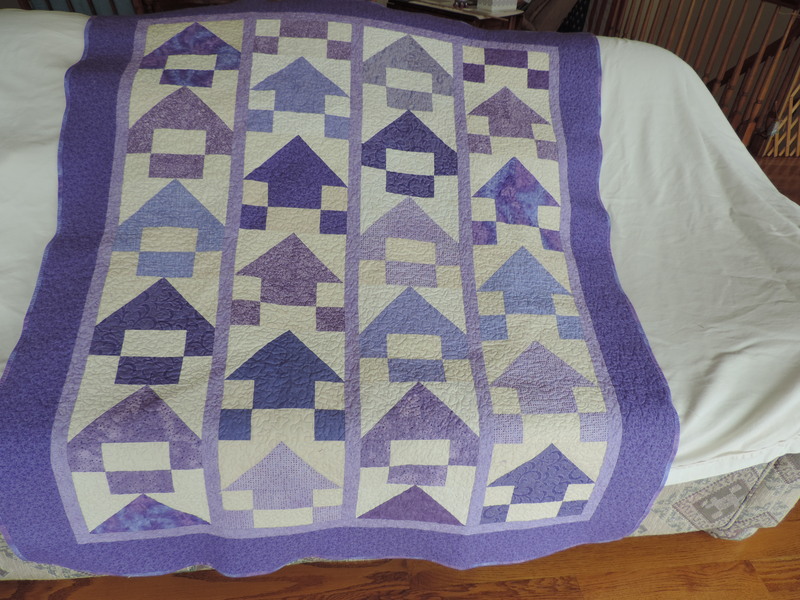 This purple one is another Disappearing Nine Patch pattern and I used fat quarters and scraps of some OLD Nancy Crow designs that I’ve been hoarding. I love these colors together. 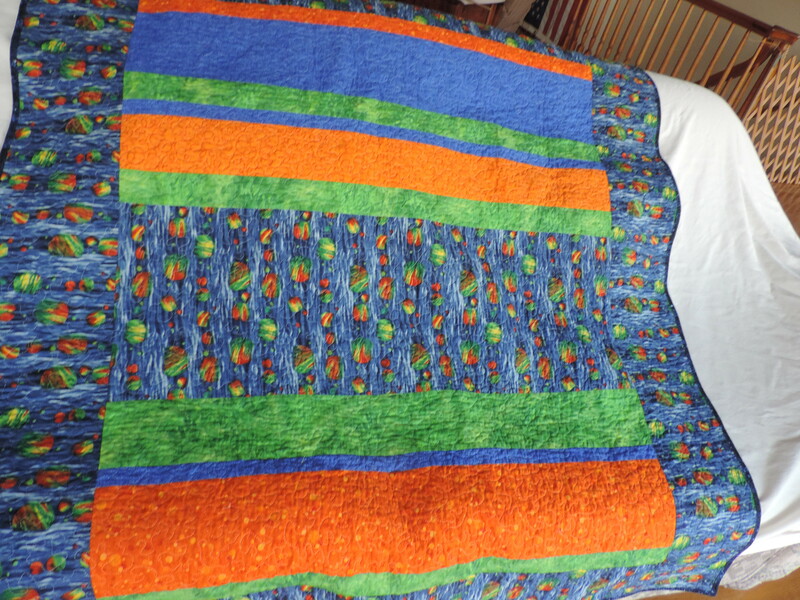 When you see this quilt ‘in person’ it glows. This little one went to Montana. Isn’t it just too sweet? 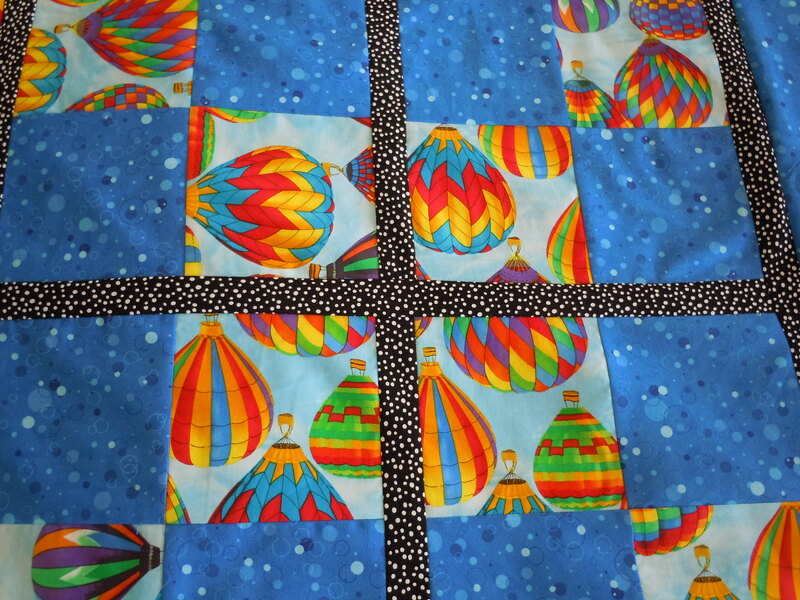 Loved making the pinwheels so much I have a stack of about 150, in two sizes, that I put together while piecing other things, had them cut and instead of using a scrap for starting and stopping, I made blocks! Coolest trick I’ve learned in a while. 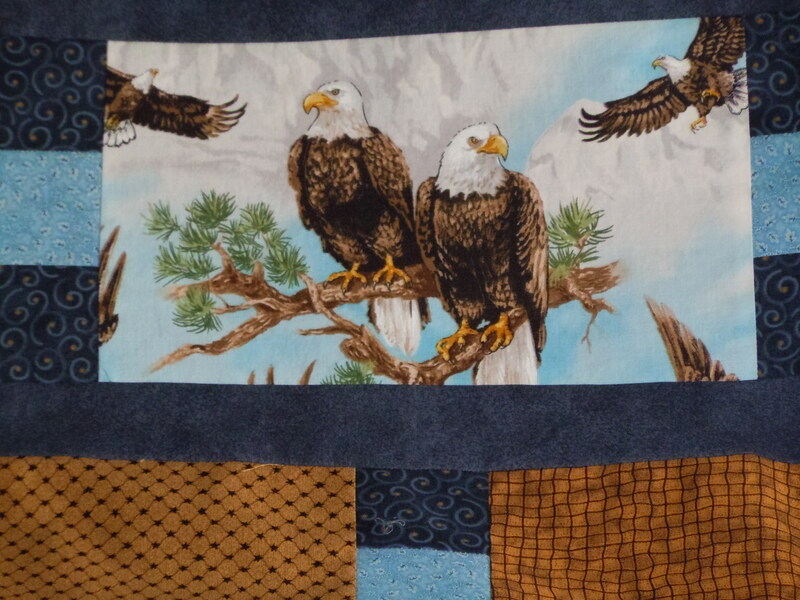 (sorry, I took this picture before I pinned it for quilting, but you get the idea). 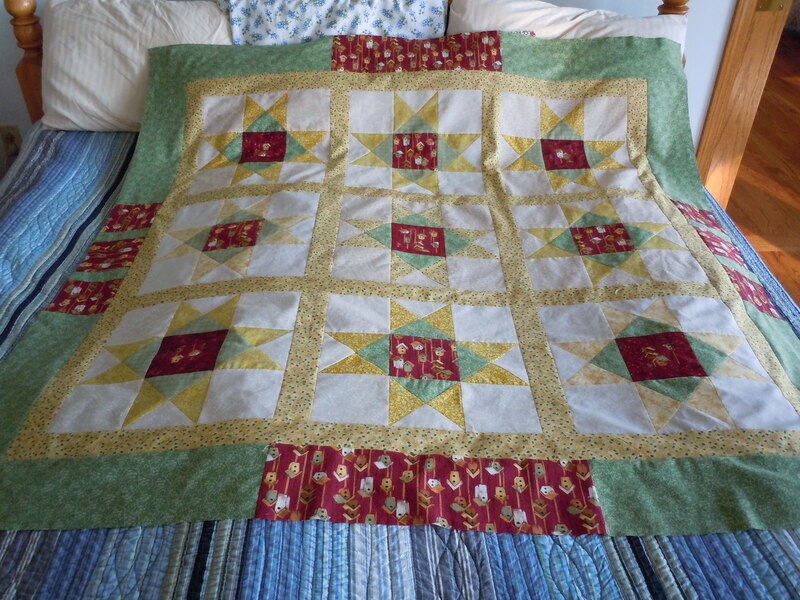 I haven’t quilted it yet because I’m determined to finish the other tops first and the end of the year is breathing down my neck. I know, I know, I’ll never finish all of my UFO’s but I want to have as many done as possible. 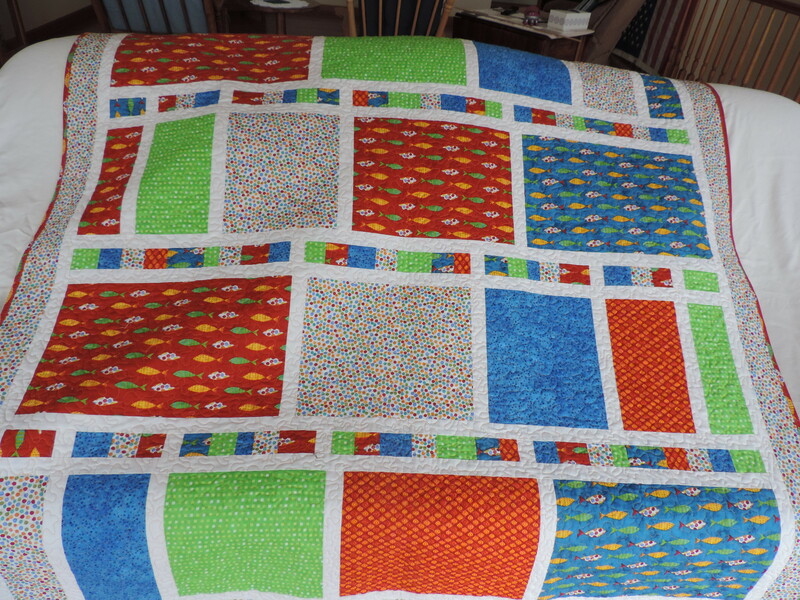 This blog business is fun but cuts into my time with fabric 😉 However, it’s also the quickest way to share my little efforts with loved ones and hopefully make new friends. As soon as I figure out how to do it, I’ll include links instead of URLs. Till the next time, wishing you all the very best of holidays and a wonderful, healthy, prosperous and Happy, New Year. 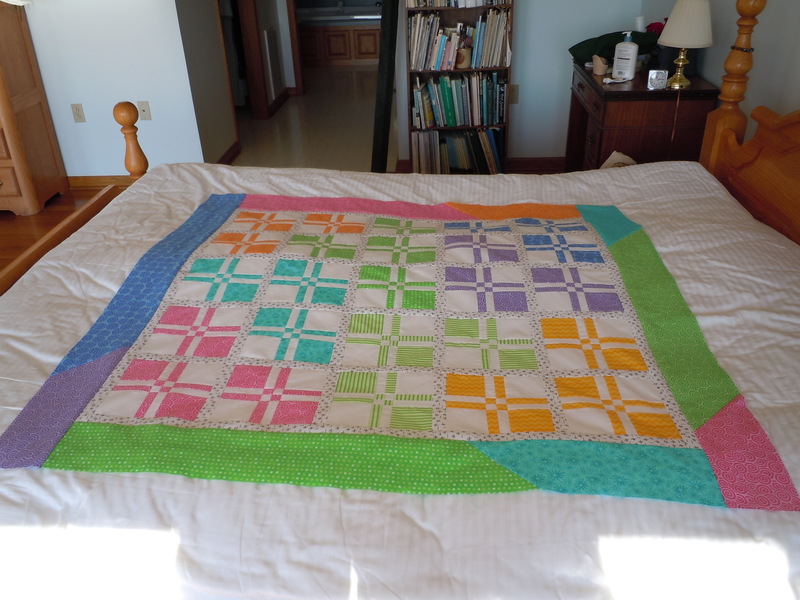 Hopefully my hands will continue gaining strength and dexterity so I can also get back to some beading…………..
took this before I put the multi-pieced binding. 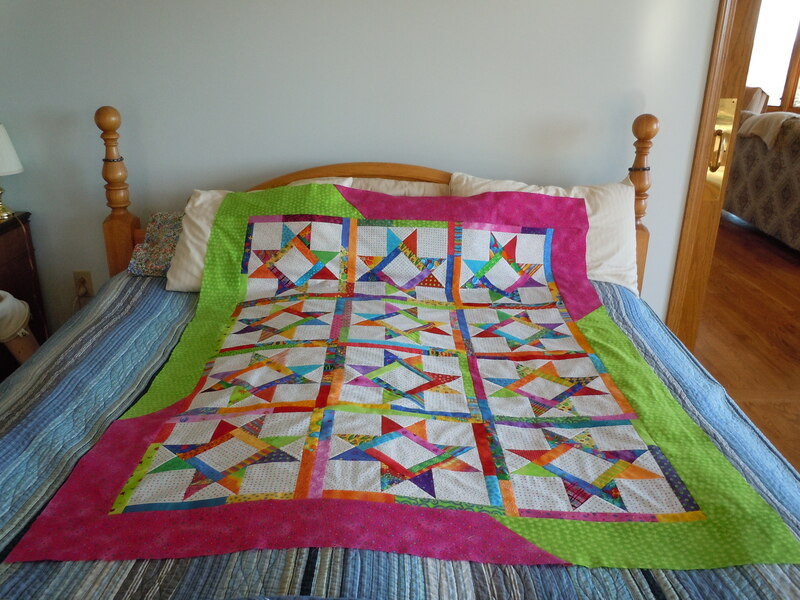 Finally decided to start a blog thinking it would simplify sharing my quilting adventures with my long distance loved ones. Ha! The laugh is on me, I’ve already spent HOURS to get this far 🙂 But check back, I’ll get the hang of it yet. 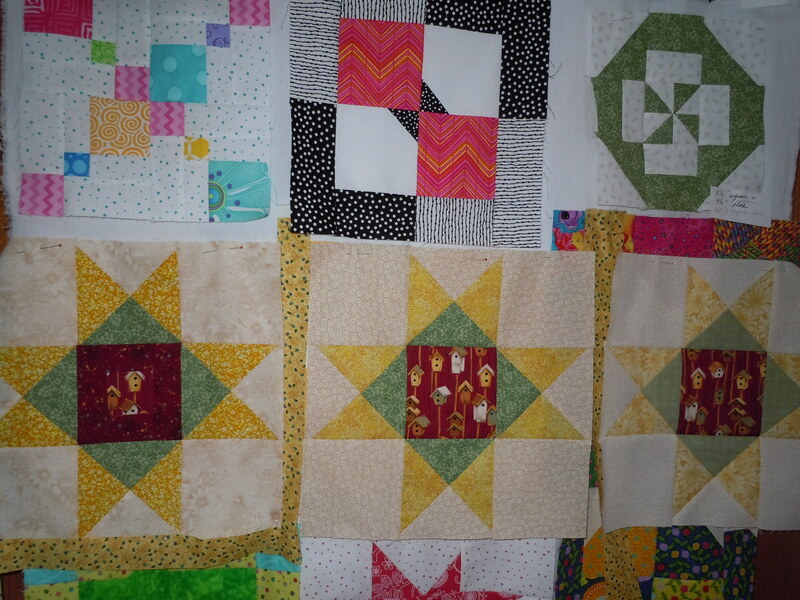 I sent these 9 quilts off to sister Audrey for church auction, shelters, etc. They were all lovely and all have a piece of my heart stitched into them. 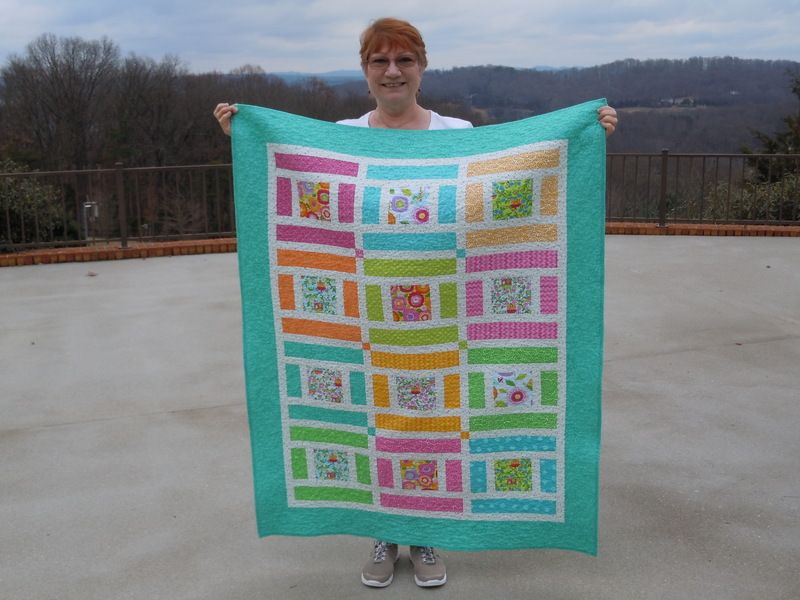 I decided to call my little quilts “Hazel’s Joy” in memory of Mama for teaching me to sew with love.